Faulkes Telescope at the Cabrach. Why did the Cabrach invite Sigma to their Open Day? 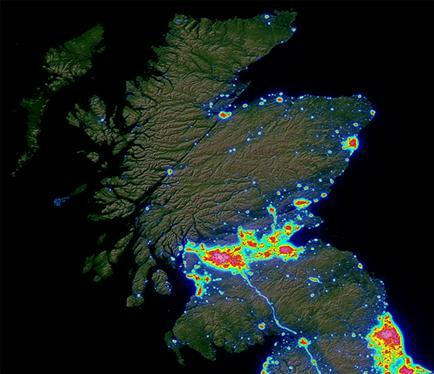 Take a look at the images below which show the effects of light pollution when Europe and the UK are viewed from space. It is very obvious that Scotland, north of the central belt, has some of the least light polluted skies in Europe. The close up of Scotland shows the the area to the south of Keith and Huntly has almost pristine skies. This makes the Cabrach an ideal site for astronomy, hence the Sigma connection! What's this Faulkes Telescope, then? 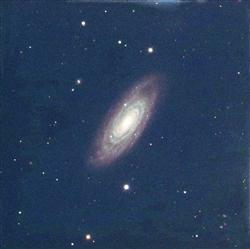 The Faulkes telescope we used is part of the Las Cumbres Observatory Global Telescope Network. We were given access to Faulkes Telescope South which is situated at Siding Springs Observatory in New South Wales, Australia. 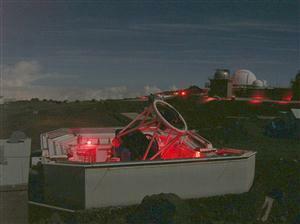 This telescope is a professional grade telescope with a primary mirror 2 metres in diameter. "Access" to the telescope meant that for 30 minutes, we had full control over the telescope, chose the targets which the telescope homed in on and decided on the exposures needed to capture images of our targets. 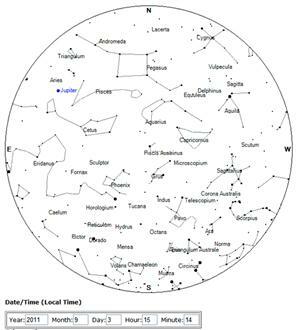 The images below show the telescope in operation and the constellations visible in the sky over the site at the time we had control, 3pm on Saturday 3rd September 2011, mid afternoon in Scotland but midnight in that part of Australia. What did we do with the telescope time? 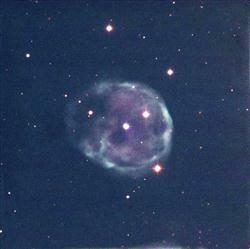 We captured images of three objects, two galaxies and one planetary nebula. After each target has been imaged, the telescope produces low resolution images produced by combining three separate red, green and blue images. After the telescope session is over, high resolution image files are made available which can be manipulated using image processing software to enhance particular features in each target. 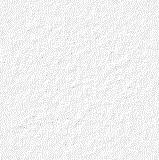 These processed images and some information on each of the chosen targets are shown in separate pages which can be accessed by clicking on the thumbnails of the low resolution images below. Copyright © Las Cumbres Observatory Global Telescope Network. 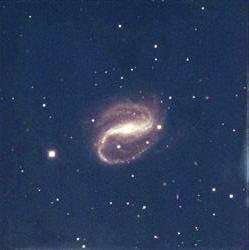 This is a barred spiral galaxy, catalogue number NGC 7479.